On Nov. 1, Microsoft will be releasing its newest Minecraft Hour of Code tutorial, which, according to a recent announcement, could be "possibly the most adventurous tutorial yet." 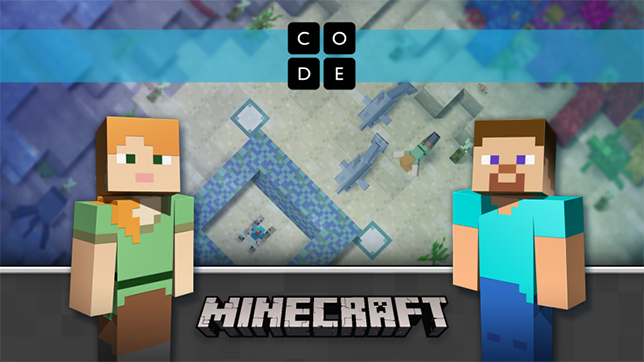 The company has teamed up with Code.org for the release of "Voyage Aquatic," in which students "explore aquatic worlds and uncover hidden treasure" by writing code to instruct agents to execute commands. The lesson specifically covers two programming concepts: loops and conditional statements. Code.org runs the annual "Hour of Code" campaign, a global effort to help students learn how to code in an hour with free tutorials. Typically, the Minecraft tutorials come with free teacher resources, such as facilitator "quick start guides" and PowerPoint presentations for use in presenting the unit to students. The new tutorial will be available through Code.org's website starting next month.